Eclipse diamond cufflinks are masculine and elegant. 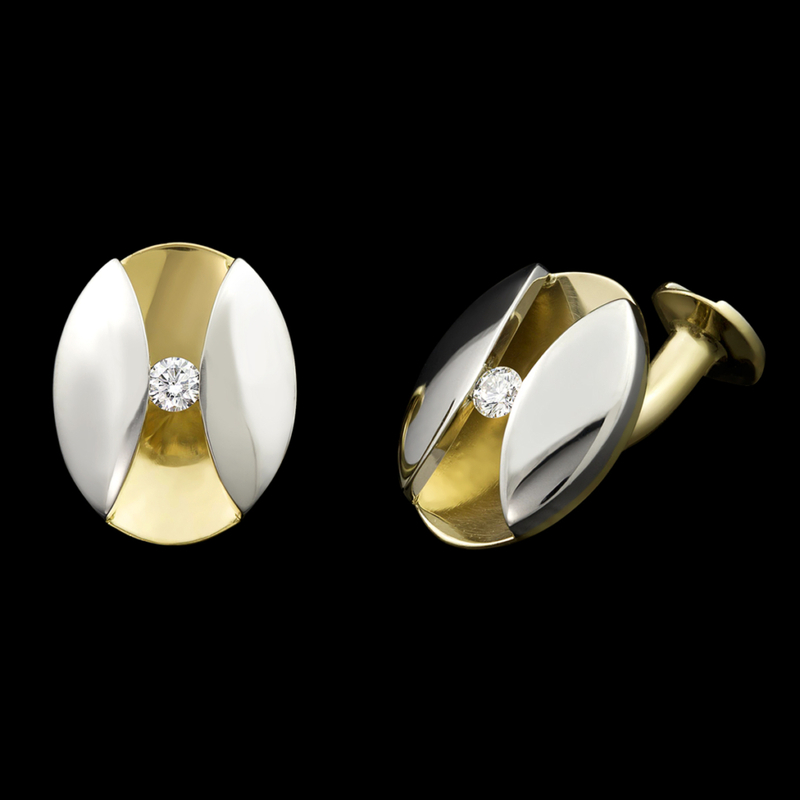 A white diamond is suspended in 14kt white and yellow gold in these versatile and elegant cufflinks. Call (949) 715-0953 or use our contact form below for additional information.